We celebrate the founding of our country on the 4th of July with a weekend filled with picnics, parades, and fireworks. We commemorate when we formally declared our independence from England and set forth in writing our grievances with the King. The vote for independence actually took place on July 2nd and July 4th was the day the document was approved. Almost instantly the day was one of celebration, becoming and official Federal holiday in 1941. For many years, the tradition was to read aloud The Declaration of Independence, as it had been read aloud in 1776 in town squares across the colonies. This week’s column takes a holiday from staffing industry topics and trends. With the 4 thof July falling in the middle of the week, no one is quite sure which one is the holiday weekend - so perhaps it’s best to celebrate all week! 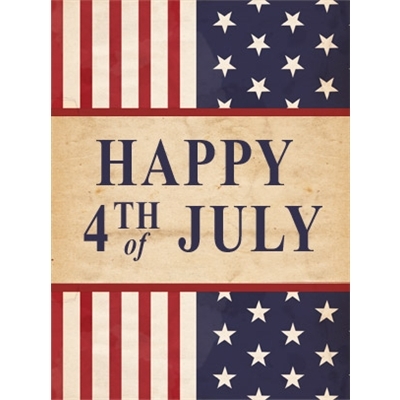 And celebrate the birthday of America we should because we are fortunate to live in a land founded on the ideals of freedom and democracy and the simple principle that all of us are created equal. The promise of America is one of freedom; the freedom and independence to make your own choices, to think for yourself and to be free from persecution because of your religion, your ethnicity, the color of your skin or your sexual orientation. This promise is one that belongs not just to Americans but to the world. To those living under oppressive conditions anywhere in the world, the ideals that America was founded upon are a shining beacon of hope. The invitation to join this great nation, to find liberty and happiness and to contribute to the success of the country is one that many have accepted since its founding in 1776.